A luncheon will follow the burial at the funeral home. Vibrant, loving, and joyful, Ruth West lived a life rich in family and friends. With a gregarious personality and room in her heart for all, Ruth was an inspiration to all who were blessed to know her. 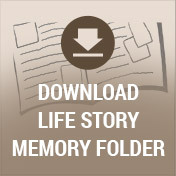 A devoted wife, mother, and grandmother, Ruth loved with all her heart and enthusiastically gave of herself to others. Deeply loved, Ruth will long be missed by many. The beginning of 1929 continued to ride the decade’s roaring wave of peace, prosperity, and hope. The nation celebrated the recent inventions of Penicillin, the iron lung, bubble gum, and the Yo-Yo, as well as Charles Lindbergh’s Congressional Medal of Honor and Amelia Earhart becoming the first woman to fly solo across the Atlantic. As the wave of sweeping social and economic growth rapidly increased nowhere was their more hope for the future than in Pellston, MI where Adam and Edith (Hill) Mallory welcomed their daughter Ruth into their hearts and home. Growing up in northern Michigan during the 30s and 40s, Ruth experienced the challenges and joys of a typical childhood. While her mother stayed home and took care of their five children, her father worked in road construction. The family was centered in their faith and attending church, where Ruth sang in the quartet, was always important. The middle child of the Mallorys’ five children, Ruth developed a strong sense of service and a real affinity for people. Despite the cold, hard winters, Ruth learned a true love of the outdoors. She also attended the local schools through the 11th grade. In her early 20s, Ruth married Orson Camfield. The couple moved to the Kalamazoo area where they soon welcomed their daughter, Pat, son Bob, and son Bruce. 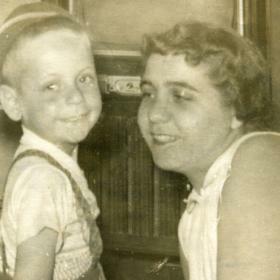 While Orson worked as a diesel mechanic, Ruth was a stay at home mother who relished in caring for her children and providing a loving home for her family. After 13 years of marriage, Ruth and Orson divorced, and Ruth continued to follow her passions as a mother and attended beauty school to support the family. She loaded the big old hair dryer on a pole into her car and started driving to customers’ homes to work her magic. In no time at all, she had a big following. Fate blessed Ruth with the blessings of meeting Bill West while roller skating at the rink in Oshtemo. The pair were introduced to one another by Bill’s son Jerry, and they soon realized they were well suited for one another. After dating for quite some time, the happy couple married on November 27, 1964, in Kalamazoo, Michigan. 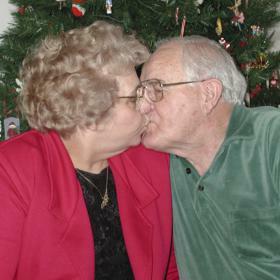 Ruth and Bill began their lives together in a rental home but soon decided to build a new house on South First Street in Mattawan where they would continue to raise Ruth’s children who were teenagers at the time. The home also included a special room for “Ruth’s Beauty Shop” where Ruth continued to work well into the new millennium. Gregarious, generous, and kind, Ruth opened her shop early for the school teachers and stayed open late for folks who needed to come after work. She loved people and went out of her way to lighten their burdens. One of the many ways she nurtured others was through her fabulous cooking and baking. 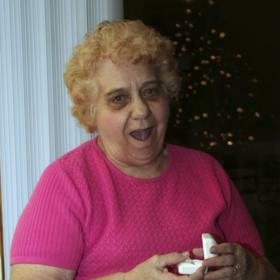 She was known by many locals as the “cookie lady,” and she made many beautiful wedding cakes and candies over the years. Her baked goods were as meticulously and creatively decorated as her mac and cheese, baked beans, and breads were delectable. Ask anyone who knew her and they will resoundingly affirm that Ruth’s Texas sheet cakes were unrivaled. Together Ruth and Bill celebrated their faith at the Texas Corners Bible Church where they enjoyed being a part of a special fellowship. Not only did they share a deep faith, but they also shared a passion for traveling and gardening. Many adventures were shared including taking bus trips to Branson, Missouri, Northern Michigan, and the Wisconsin Dells. The loved to fish in Minnesota, camp in the Allegan forest as well as in the Pellston area where Ruth grew up, and especially getting to see Charlie Pride, Merle Haggard, and several more of their favorite entertainers perform at the Buck Lake Ranch in Angola, Indiana. Without a doubt, Ruth was happiest when lovingly creating and hosting a meal for her family, especially for all of the holidays. Ruth knew what everyone liked and always made sure to have their favorites on hand. She’d buy Mountain Dew and candy for the kids, create awesome fond du meals, and made sure to continue the roller skating tradition in the basement. Her grandchildren were her world, and Ruth loved nothing more than spending time with them.  Ruth embraced each moment of her life with joy. Whether tending to her flowers, maxing out her double coupons on Wednesday shopping trips, watching Hee Haw, playing the organ, sewing her own clothes, plowing her snow, or crocheting hats for Bronson babies, Ruth lived wholeheartedly. She could always be counted on to greet others with a smile, celebrate the day with a song, encourage others with kind and inspiring words whispered in their ear, and singing church hymns while mowing the lawn. In the early 2000s, Ruth was forced to retire when the impact of Dementia grew to be too much of a challenge. For 18 years Ruth and her family have lived with the difficult and “long goodbye” imposed by the burdens of Dementia. While the difficulties of her final years cannot be denied, the power of Ruth’s dynamic spirit will prove to be the memory we hold dearest in our hearts. May we find deep comfort in knowing that Ruth is now at peace and free of her Earthly limitations. May it also provide comfort to carry Ruth’s spirit on in our own lives. With each gift we crochet, flower we tend, meal we lovingly create, and hand we lend, we keep the brilliant light of Ruth’s legacy alive and rippling out to others where it will surely continue to inspire warm smiles and much love. Died peacefully at Medilodge of Kalamazoo on January 7, 2018. Ruth was born December 12, 1929, in Pellston, the daughter of Adam and Edith (Hill) Mallory. 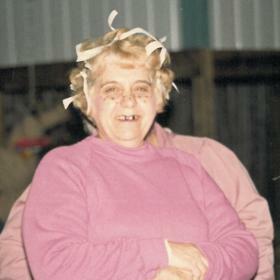 Ruth was preceded in death by her husband Bill West in 2009; infant son, Bruce Camfield; and 3 siblings: Jerry Mallory, Willis “Blackie” Mallory and Jim Mallory. Surviving are 2 children: Bob (Dawn) Camfield and Pat (Jim) Buckert; 4 grandchildren: Bobby (Carie) Camfield, Heather Scott, Amber Camfield and Scott (Penny) Goff; 6 great-grandchildren: Jordan, Chelsie, Madison, Kai, Kody and Kameron; a sister, Donna Reardon and many nieces and nephews. Visitation will be Friday from 10am – 11am at the Betzler & Thompson Life Story Funeral Home, 60900 M-40, Paw Paw (269) 657-3870 where services will be held at 11am. Burial will take place at Hope Cemetery in Texas Township followed by a luncheon back at the funeral home. 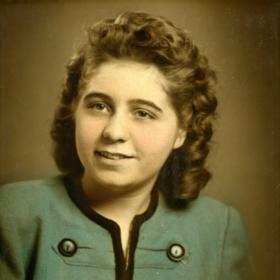 Please visit Ruth’s personal web page at www.betzlerfuneralhome.com, where you can read her story, archive a favorite memory or photo and sign her online guestbook before coming to the funeral home. In lieu of flowers memorial contributions may be made to the Alzheimer’s Association of West Michigan.